With the right gun and the right concealed carry holster, appendix carry can be done safely, comfortably, and in a very concealed way. 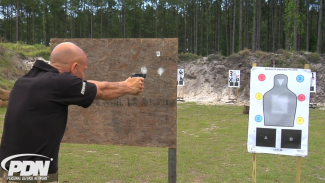 Rob Pincus demonstrates numerous options for successful appendix concealed carry. And this is true for various body types. Don’t let what you might think are your body’s limitations prevent you from exploring appendix concealed carry. Rob is often asked about appendix carry — about safety, about comfort when standing and when seated, and about concealability or carryability. How practical is appendix carry, especially based on body size? 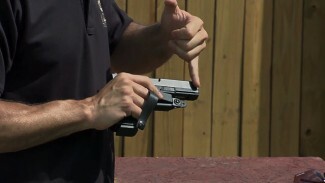 In another PDN video, Rob discusses safety considerations for appendix concealed carry. 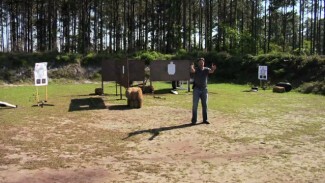 But in this video, he talks about comfort and carryability, which are also important factors in deciding whether appendix carry is right for you. People who are overweight or have large bellies may claim they can’t carry appendix because they can’t draw the gun efficiently from that position. At the opposite end of the spectrum, people who are thin or have small waists say appendix carry is not right for them because the handgun cannot be concealed against their flat stomachs. Rob, who is thin, has been carrying appendix for many years and is here to refute these impressions. He carries a four-inch Springfield Armory XD-S with eight-round capacity. It does have a subcompact grip, not a full-length grip, but the key is that he carries it in an incredibly comfortable concealed carry holster, the Crossbreed Holsters Appendix Carry Holster. It’s comfortable when Rob is seated, standing, or moving around. He often carries it while wearing only a t-shirt or other light clothing, and in hot weather, and the XD-S is completely concealed. That’s what Rob carries. What other options exist for different handguns with a concealed carry holster? Rob goes into detail about belts, holsters, and handguns for people of various body types so that all day concealed carry is comfortable. Women may wear more of a draping type of fabric in shirts, which is excellent for concealed carry. Wearing yoga pants, leggings, etc that do not require belts removes the issue of a belt causing the handgun to protrude at centerline. Keep this in mind because it’s true, but check out the wealth of useful information Rob provides here on appendix concealed carry. I am one of those overweight guys who feel that appendix carry is not really a good option for me. While this was an interesting presentation, Rob really never addresses the larger guys issue. 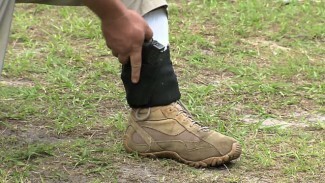 So what was the exact company and name for the 2nd holster you demonstrated? What kind of clip are you using on your crossbreed holster in this video? I have caught myself trying to sacrifice comfort over “my gig line”, cracks me up. The struggle is real. Great informative demonstration.